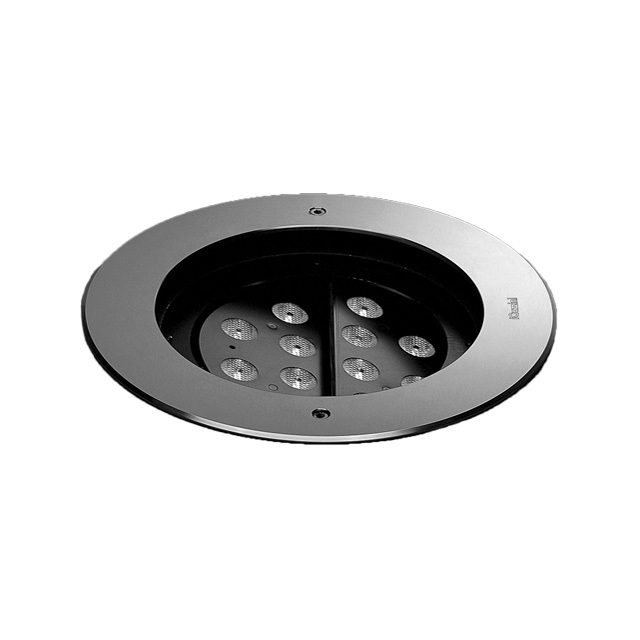 Wall-mounted recessed luminaire intended for use with LED light sources for signals, illumination and floor washer applications. Comprises body (round and square), casing and frame. 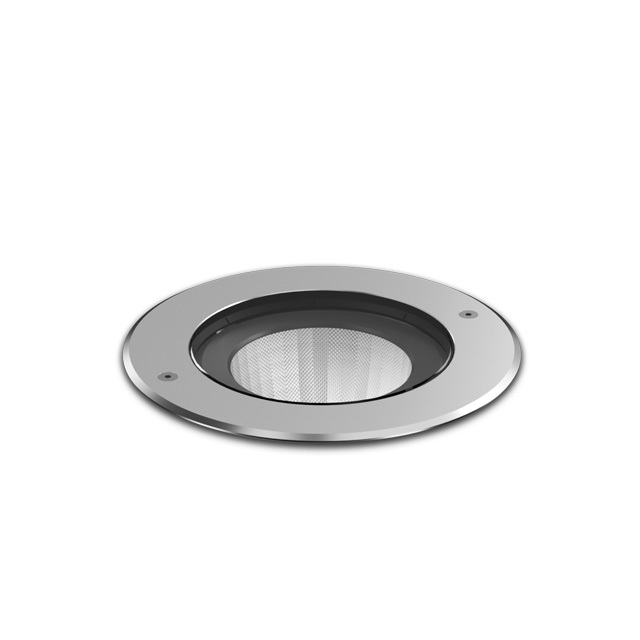 Circular and square version: the body of the fi tting is made of highly resistant thermoplastic material; H=100 mm painted cast aluminium barrel outer casing for installation, which can be ordered separately, for wall- or ground-installation, complete with end cap. 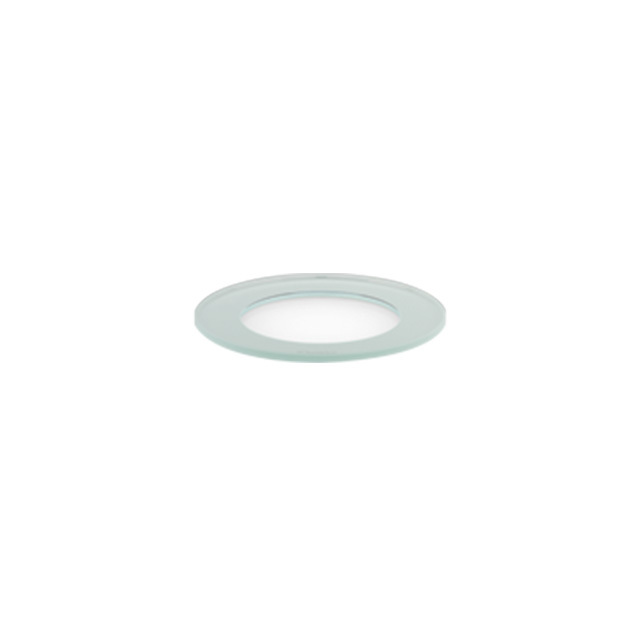 H=150 mm version available in plastic for installation in gardens. 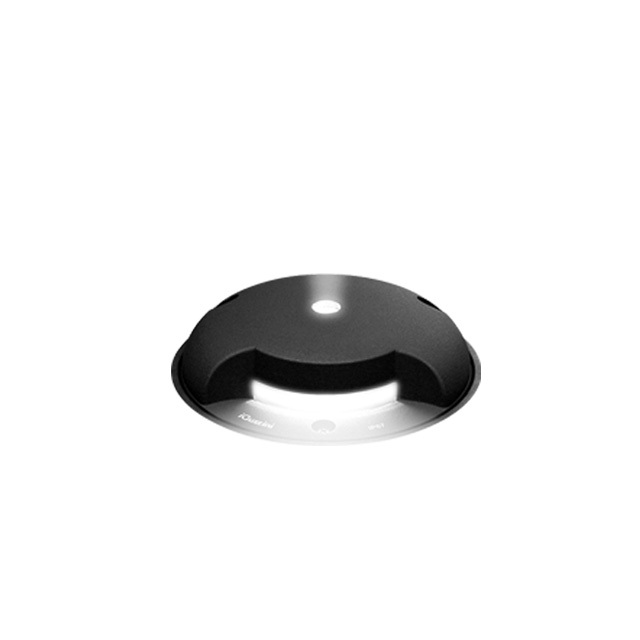 Linear version: extruded aluminium body and die-cast black painted end caps; H=100 mm painted extruded aluminium and stainless steel outer casing for installation, which can be ordered separately, for wall or ground-installation, complete with top end cap. Stainless steel frame; sodiumcalcium upper glass; on signal LED versions, opal internal screen black silicone rubber sealing gasket; AISI 304 stainless steel turned parts for fixing the body to the frame/glass; linear versions with sodium-calcium tempered glass secured to the body with silicone; anti-glare spillring made of thermoplastic material for versions with lighting LEDs. Versions with dynamic RGB colour change compatible with pre-configured light management systems. 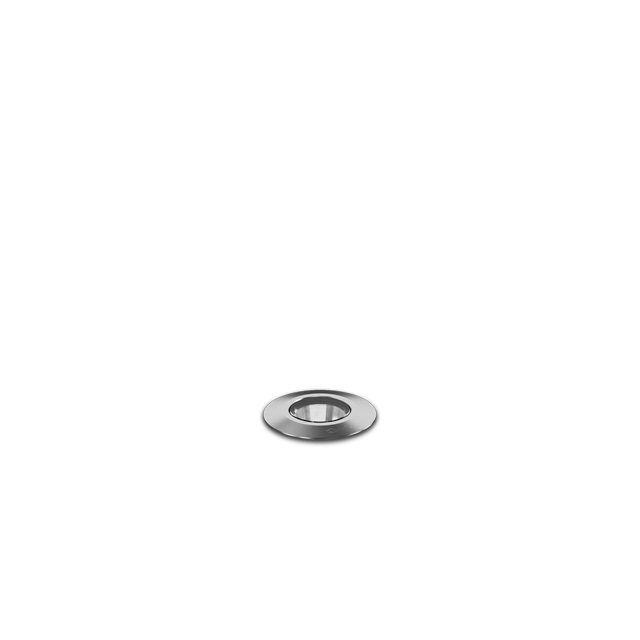 Static load resistance 500 Kg with plastic casing, 1000 Kg with aluminium casing.